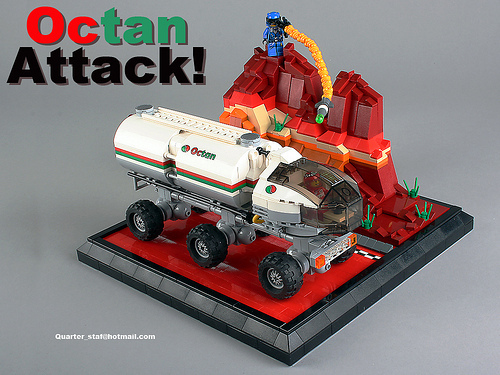 Everybody loves Octan. Well, maybe not the Lunar Separatists, as Mark Stafford (lego_nabii) shows in this lovely diorama. The Martian strata is particularly excellent, but the checkered stripe on the roadway is another great touch.